As if the daytime heatwave temperatures weren’t bad enough, Melbourne and Adelaide residents will also have to put up with nightly temperatures significantly higher than surrounding rural areas thanks to amplification caused by the ‘urban heat island effect’. 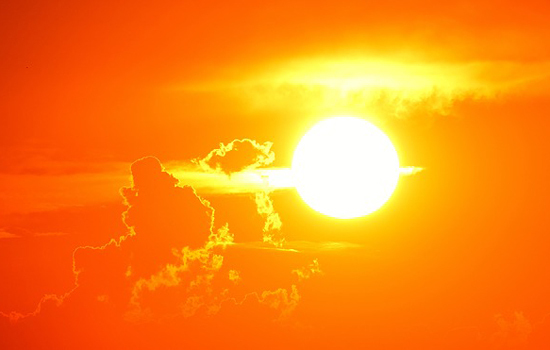 While it’s normal for cities to be warmer than surrounding rural areas at night researchers from the ARC Centre of Excellence for Climate Extremes at Monash University have found that heatwaves make this difference almost three times greater under some heatwave conditions. “Our research shows that heatwaves in Melbourne and Adelaide amplify the difference in night time temperatures between urban and rural areas even more than usual,” said study co-author DECRA fellow Dr Ailie Gallant from the Monash School of Earth, Atmosphere and Environment. “Under usual circumstances, Adelaide and Melbourne are up to 1.4˚C warmer than their rural neighbours but when a heatwave kicks in the nightly temperatures in these cities can be on average 1.2˚C – 3.3˚C warmer,” she said. “This can have significant consequences for those who are vulnerable to heat, particularly the very young and very old,” Dr Gallant said. The paper, published recently in the journal Theoretical and Applied Climatology looked at three Australian cities, Adelaide, Melbourne and Perth, to see how night-time temperatures changed during heatwaves compared to surrounding areas. Intriguingly, while Melbourne and Adelaide sweltered, Perth was actually cooler than surrounding rural areas. Dr Ailie Gallant is available for media comment between Tuesdays and Fridays on mobile: 0408 840 878.